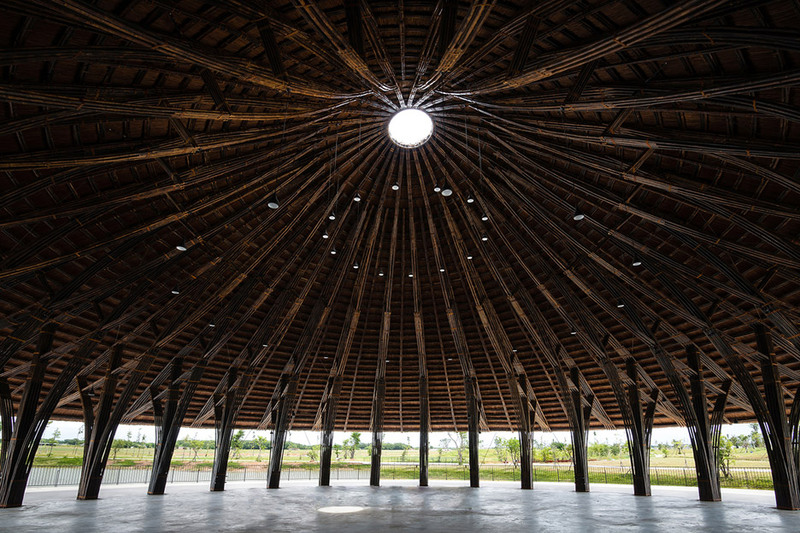 A thatched roof shaped like a giant parasol shelters this bamboo neighborhood centre by Vo Trong Nghia, which is built in excess of a pond in a south Vietnam village . 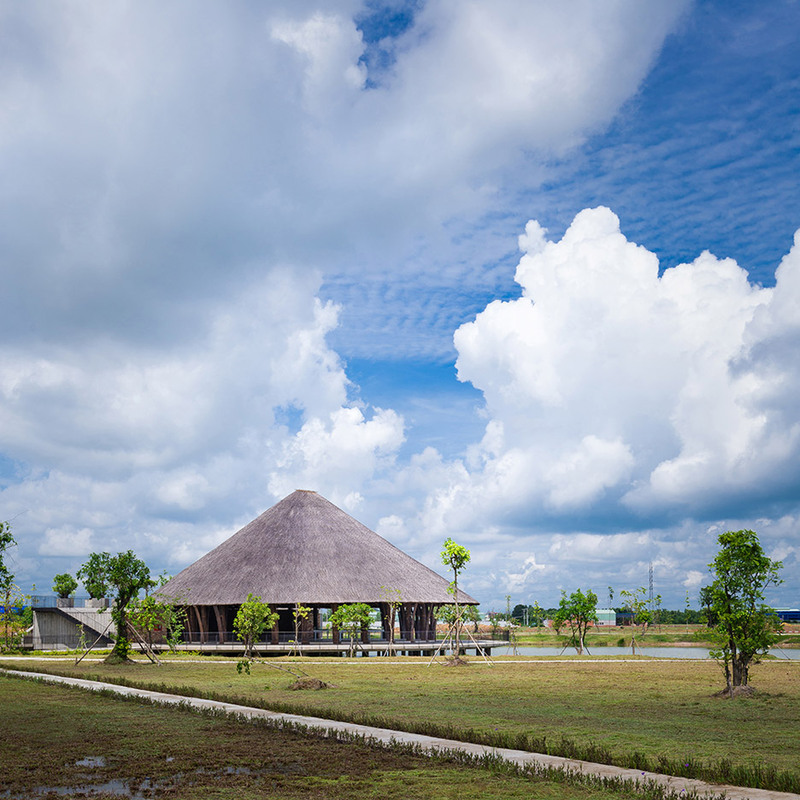 Positioned in Sen, a village ten miles outside Ho Chi Minh City, the Sen Village Neighborhood Centre is elevated on a circular podium over the pond of a 48-hectare park. 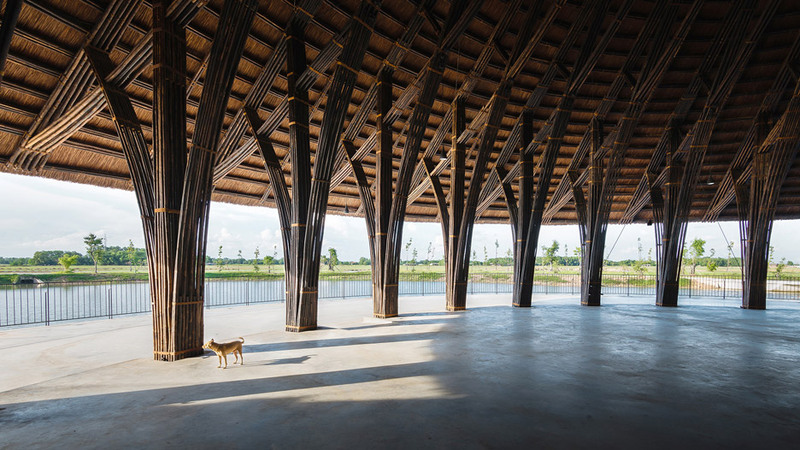 Vietnamese firm Vo Trong Nghia Architects designed the building to provide a meeting room for the residents of a new 2,200-home development within the village. 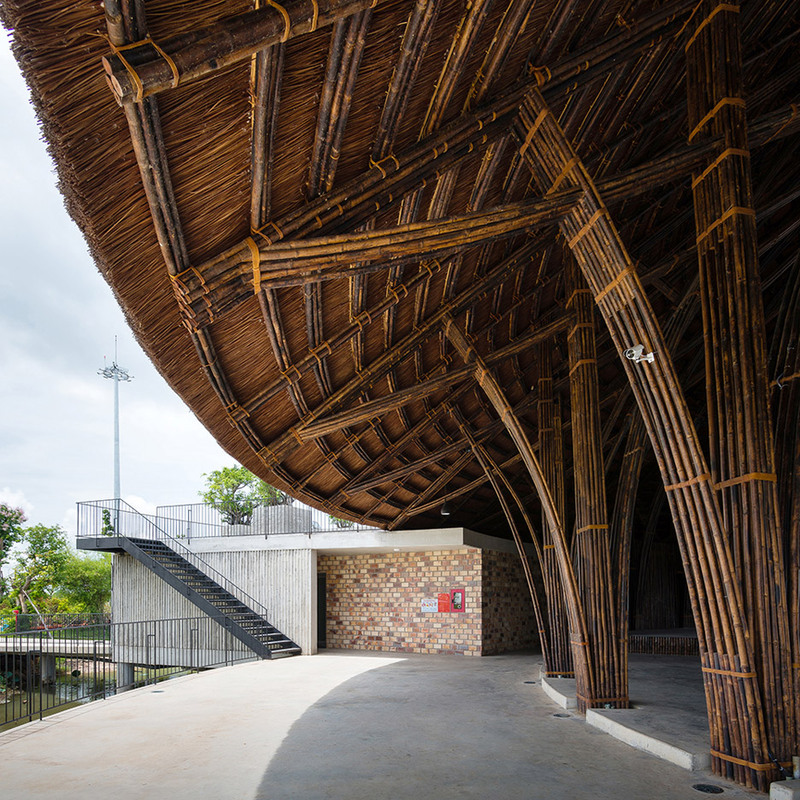 The neighborhood centre’s thatch-covered roof is supported by a network of arched and rope-bound bamboo columns and beams – a common function of Nghia’s architecture, who just lately used the identical approach for buildings in the Naman spa resort elsewhere in Vietnam. 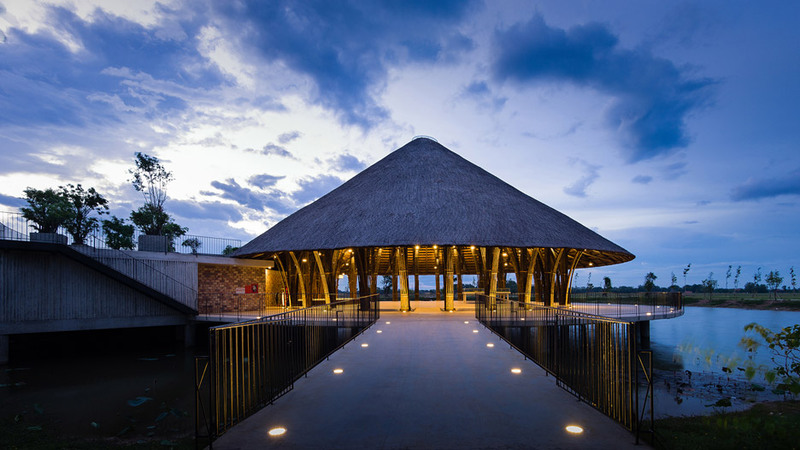 The circular base and massive cone-shaped roof give the building the physical appearance of a bandstand. 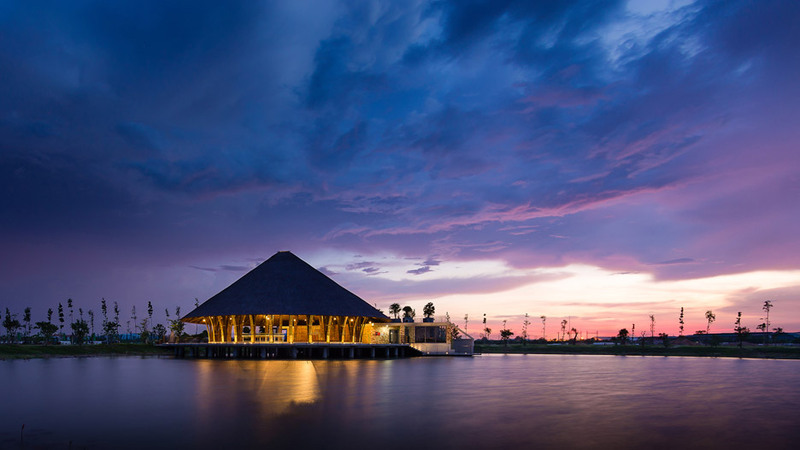 It can host up to 250 men and women for parties, banquets, exhibitions and music performances. 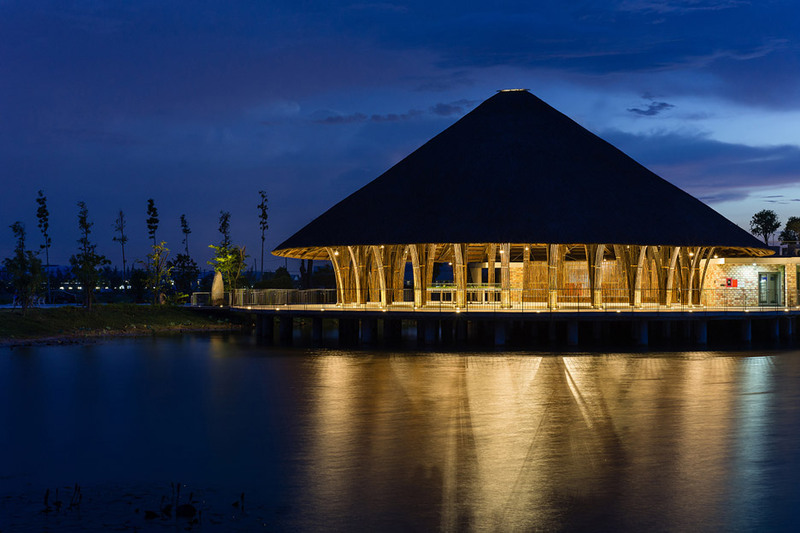 “The creating has a basic umbrella-like construction which consists of 28 pure bamboo frame units,” explained the architect. 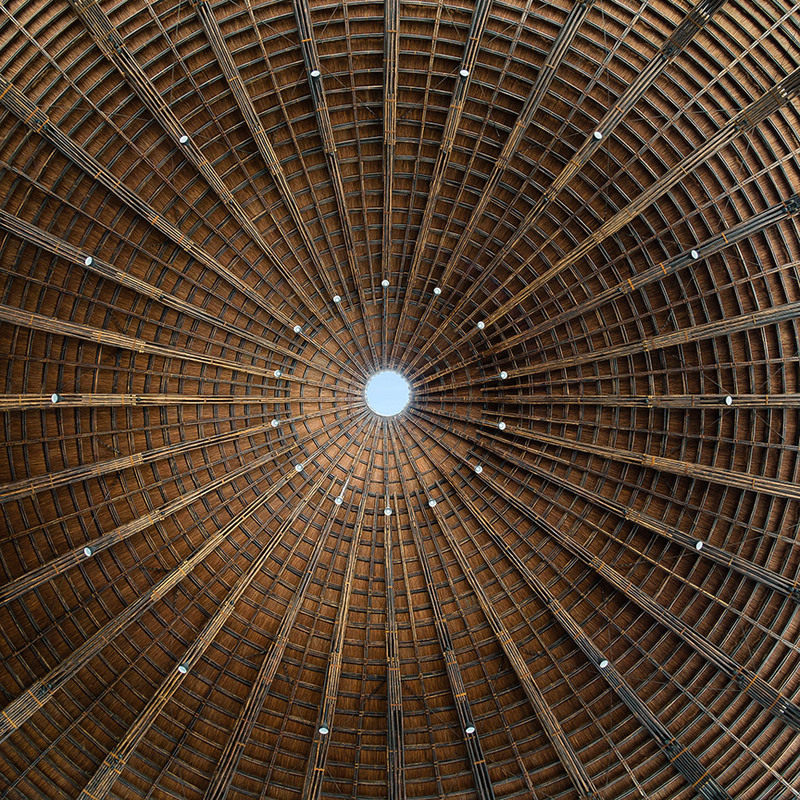 A little circular skylight in the tip of the roof enables light and air to filter in from over. This passive cooling method signifies there is no require for air conditioning, and helps to minimise the building’s power consumption. “Regardless of the shrouding shape of the roof, the interior area wants no artificial lighting for daytime uses as a skylight and open periphery offer defused daylight,” explained the studio. A 4-metre-wide terrace surrounds the hall and is partially sheltered by the 30-metre roof span. This elevated walkway – which provides views above the pond and to the adjacent parkland – leads to a modest brick volume housing toilets, a kitchen and an workplace. Two piers website link the podium to the planted grounds at the rear, where a kindergarten, exhibition hall and administration offices are situated. 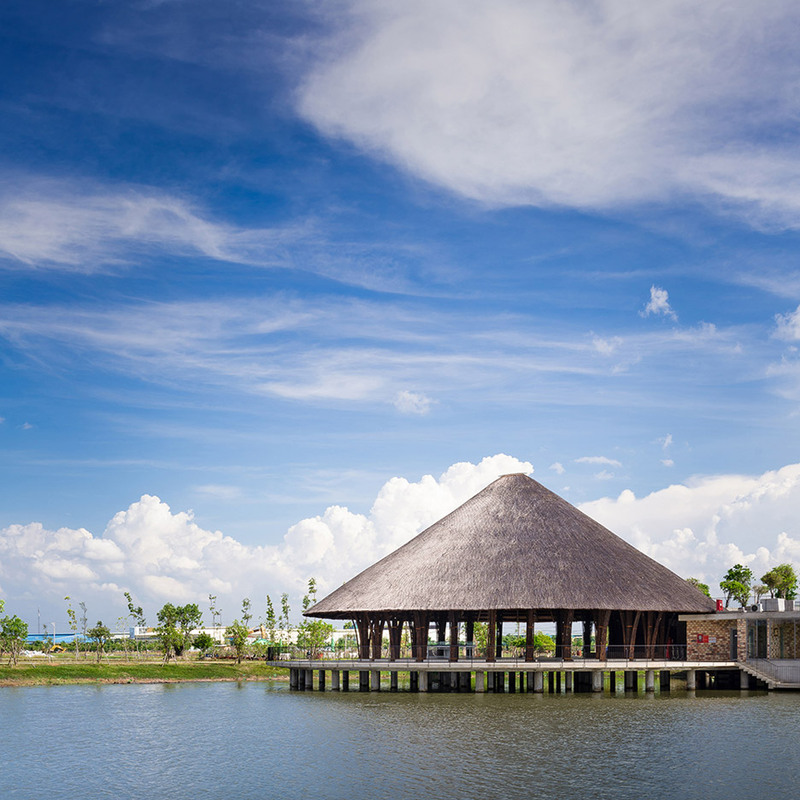 Vo Trong Nghia Architects is also at present operating on the spa resort in Da Nang, which consists of a trio of bamboo structures with thatched roofs supported by trumpet-shaped bamboo columns and a day spa with latticed walls, hanging gardens and pools of water by MIA Design Studio. Throughout the opening of the inaugural Chicago Architecture Biennale earlier this month the firm unveiled its fourth prototype for low-price housing, featuring a thatched facade and a mono-pitched roof.